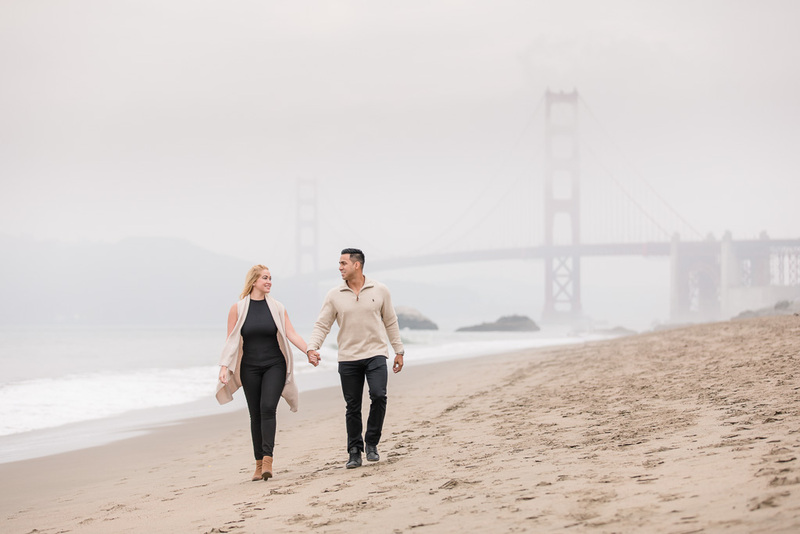 Our clients often get understandably concerned about the weather in San Francisco, which is commonly overcast. 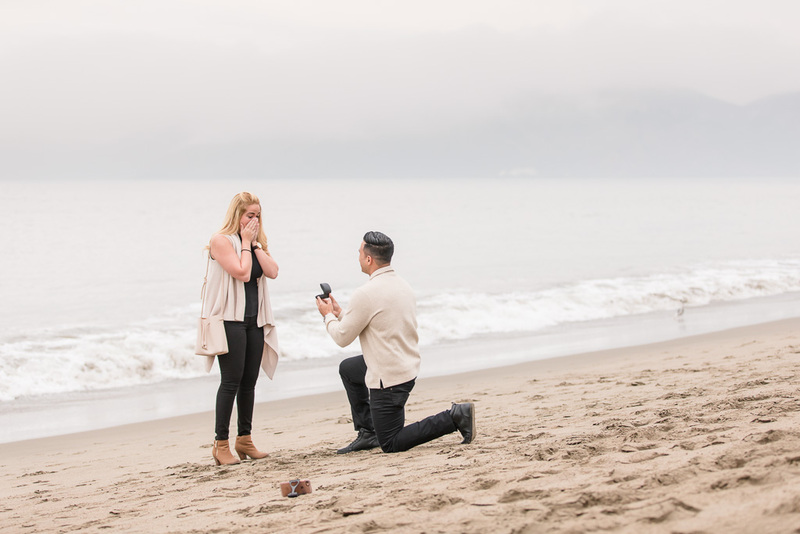 But it’s actually a blessing in many ways! 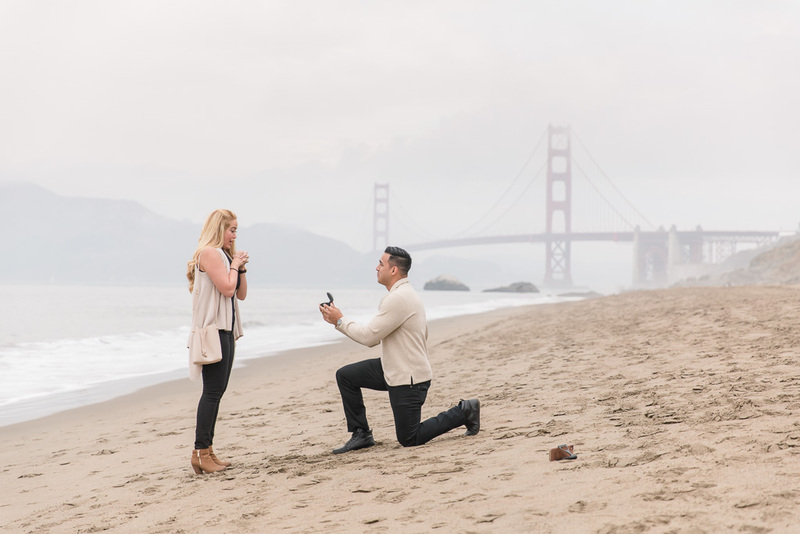 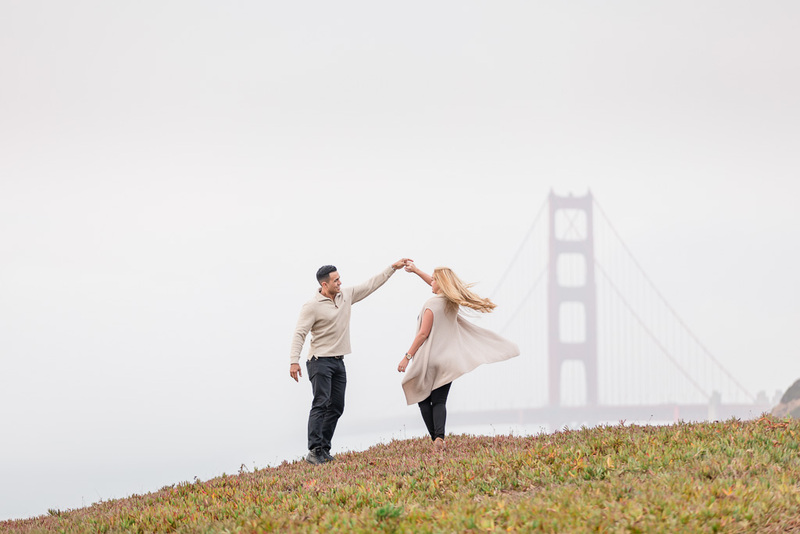 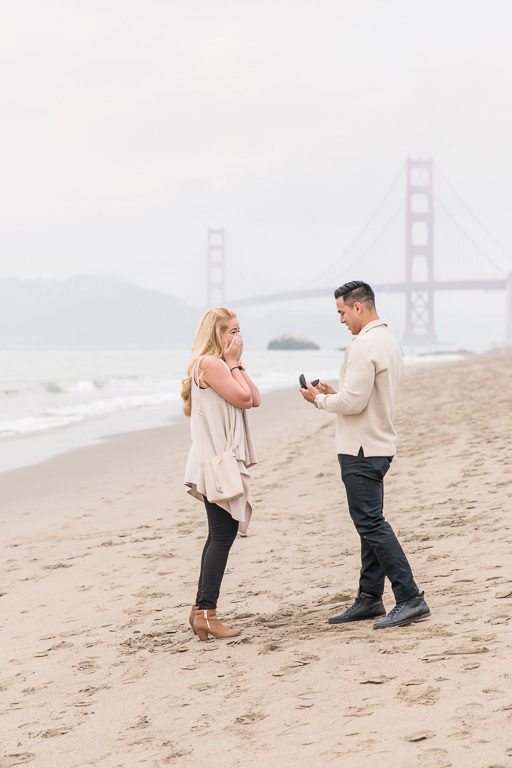 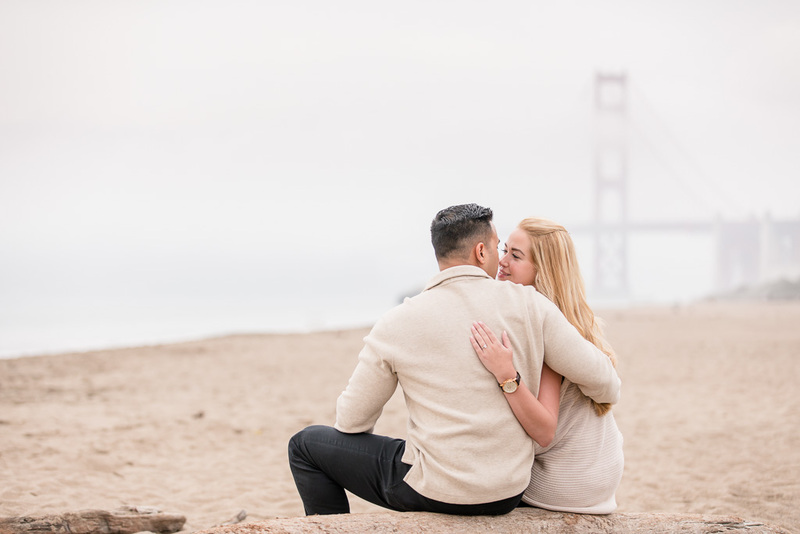 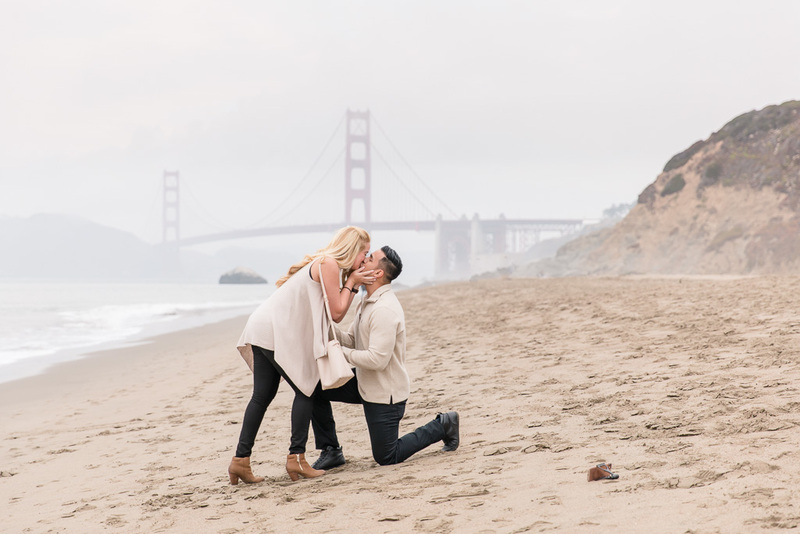 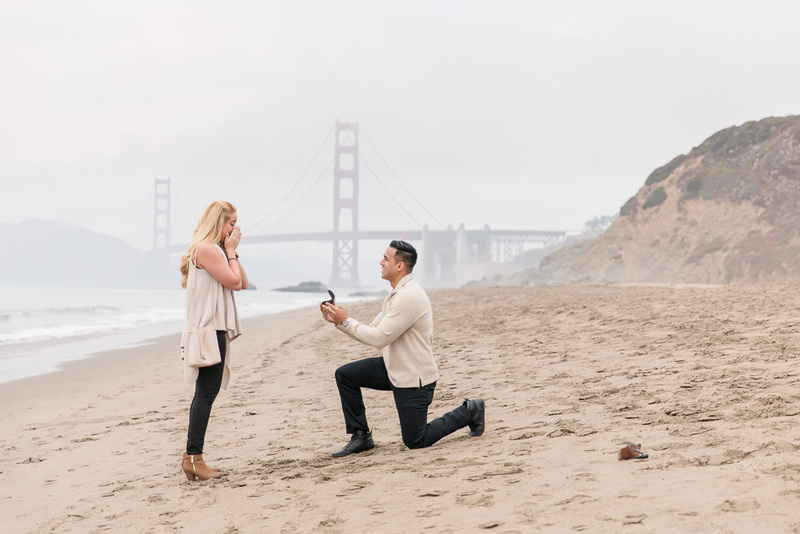 At popular locations like Baker Beach, the sun draws in huge crowds while clouds drive people away, leaving a beautiful, clean background for our couple, often with a dreamy Golden Gate Bridge background shrouded in mist and haze. 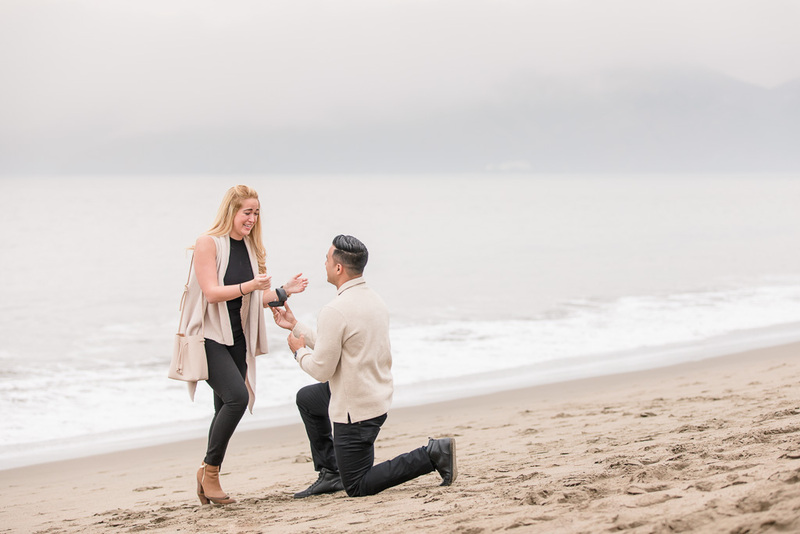 And the even lighting is especially great for proposals, as it reduces the need for us to worry about directional lighting, letting us capture the crucial moment from any direction. 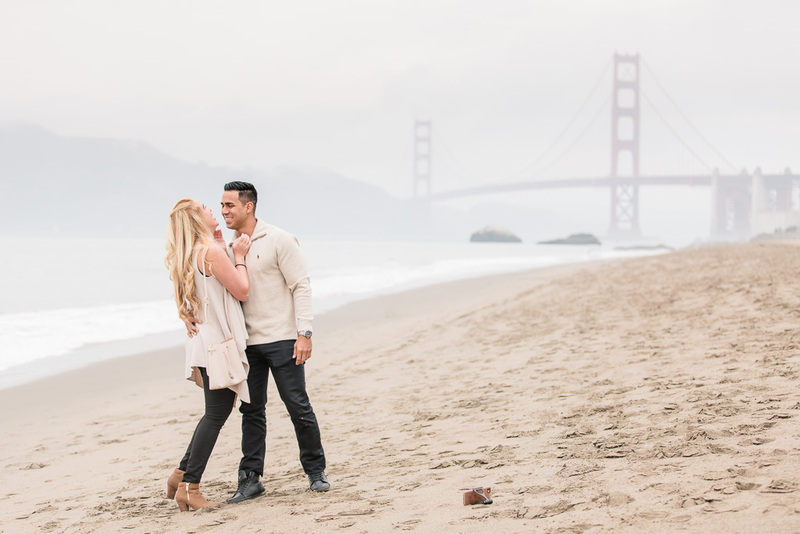 We took full advantage of all of these things for Erroll & Erikamarie to produce one of my favorite and cleanest sets of proposal photos ever! 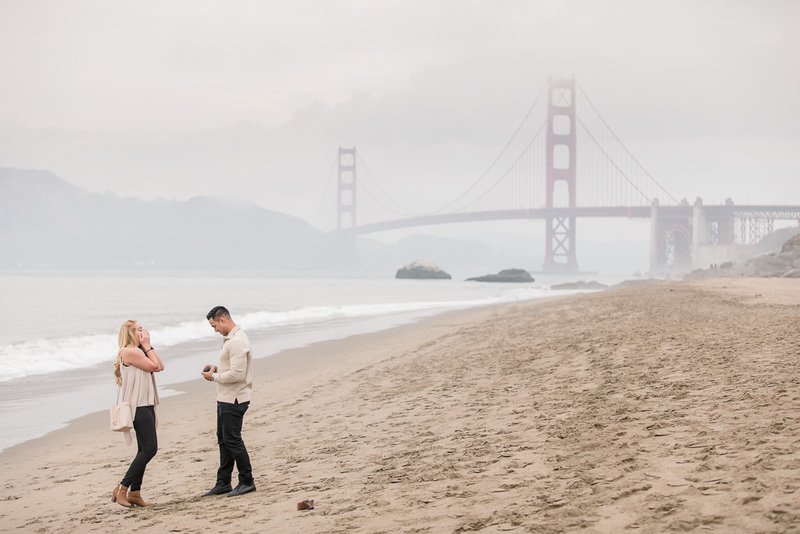 The couple took a stroll on a perfect, nearly-empty Baker Beach one afternoon last week. 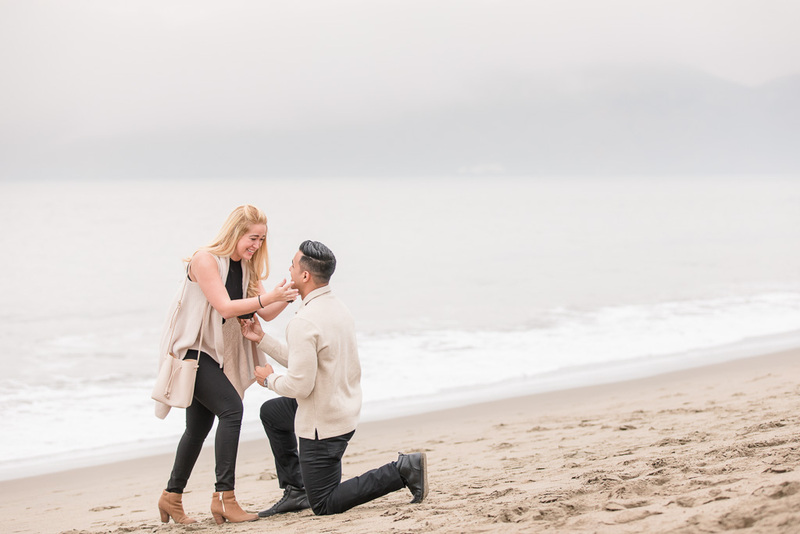 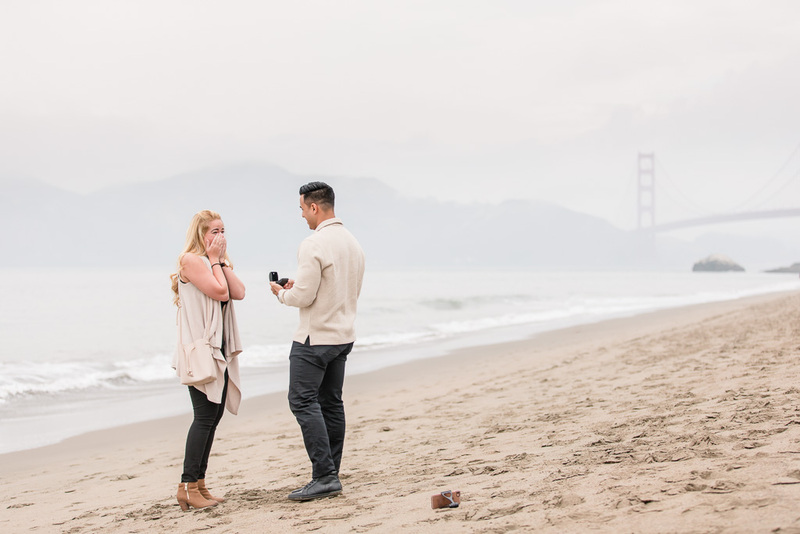 Just before getting down on one knee, Erroll propped up his phone on the sand to face them, which you’ll see in the photos. 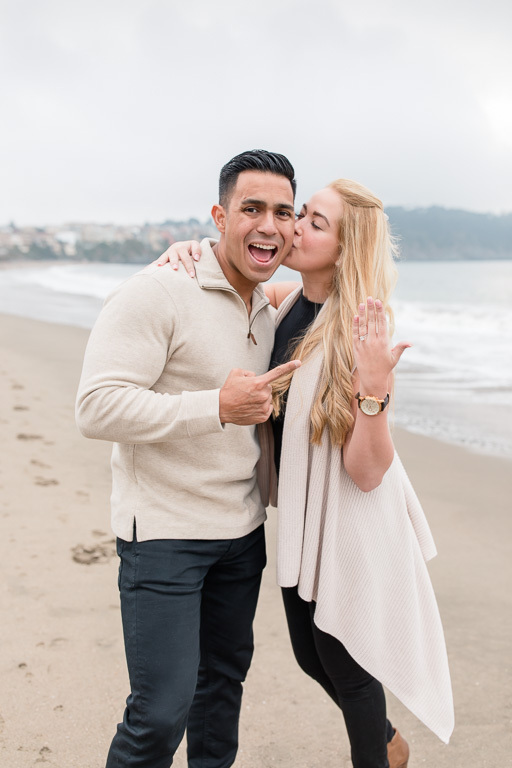 Hopefully the video came out great 🙂 We love love loved Erikamarie’s reaction when he then popped the question… she was so cute! 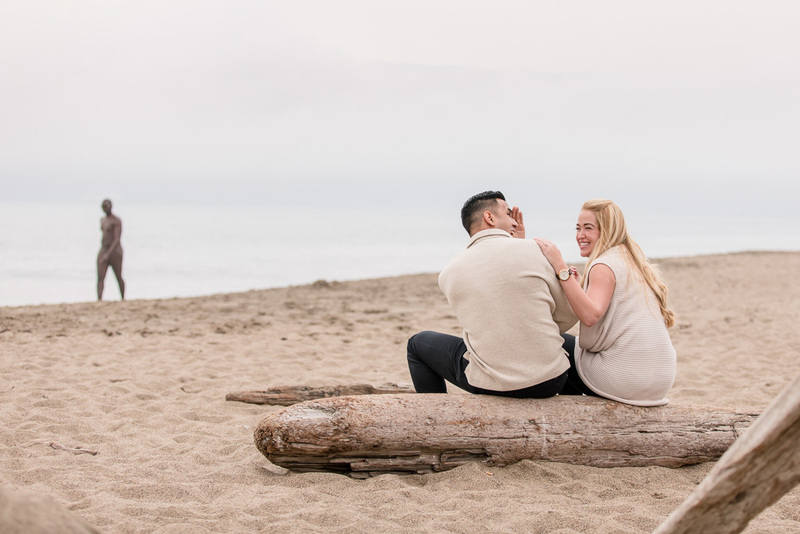 Take a look below for the series of photos!